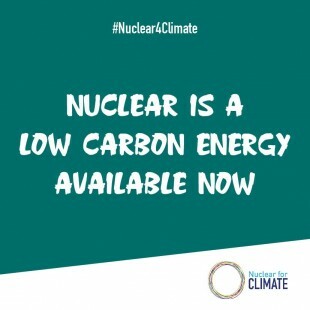 On January 17, Japan’s Hitachi Ltd. decided to freeze the project being carried out by its wholly-owned subsidiary, Horizon Nuclear Power, to build two nuclear reactors—both advanced boiling water reactors (ABWRs)—at the Wylfa Newydd Nuclear Power Station in the UK. In 2017, the British Nuclear Authority issued approval for the project after completing its generic design assessment (GDA). One year later, Hitachi began serious negotiations on a financing model with the British government. Ultimately, however, the company determined that the parties were unlikely to come to an agreement on various conditions, so decided to freeze the project. At a press conference held at Hitachi’s headquarters on January 17, the company’s president, Toshiaki Higashihara (photo), said that his firm had “made the utmost effort to provide clean energy without CO2 emissions.” He added that the GDA approval meant that Hitachi’s had been given high marks, so that the decision to freeze the project was solely based on economic logic. Asked whether the project might be resumed, he said that one premise for its “unfreezing” would be the British government’s demonstration of a new financing scheme, adding that a “zero-based review of processes and costs” would be required for resumption, among other things. In light of the virtual cancellation of an overseas construction project, he then expressed concern for the maintenance of the company’s technological capabilities in design and construction given the current domestic environment in Japan, where the focus is on restarting and decommissioning. 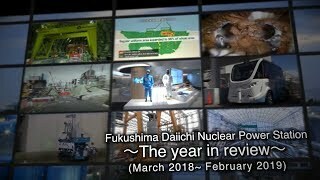 He also revealed a sense of crisis, saying that Hitachi would address the issue of ensuring future nuclear human resources with other plant manufacturers, while indicating the need to reach a conclusion as soon as possible. 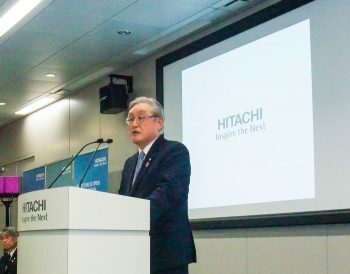 On the future of Hitachi’s nuclear business, Higashihara said that the company intended to continue negotiations with the British government on nuclear power systems, while it would continue to carry out its business in Japan “based on the strength of Hitachi’s proven reliability and technology.” He emphasized the need for broad engineering discussions on various issues, including the stable supply of electricity and environmental protection. A decline in the number of experienced personnel to build nuclear reactors. Risks resulting from a delay in the schedule. Additional costs for obtaining licenses from regulatory authorities, preparing land, etc.